This module adds our payment methods to your PrestaShop shop. 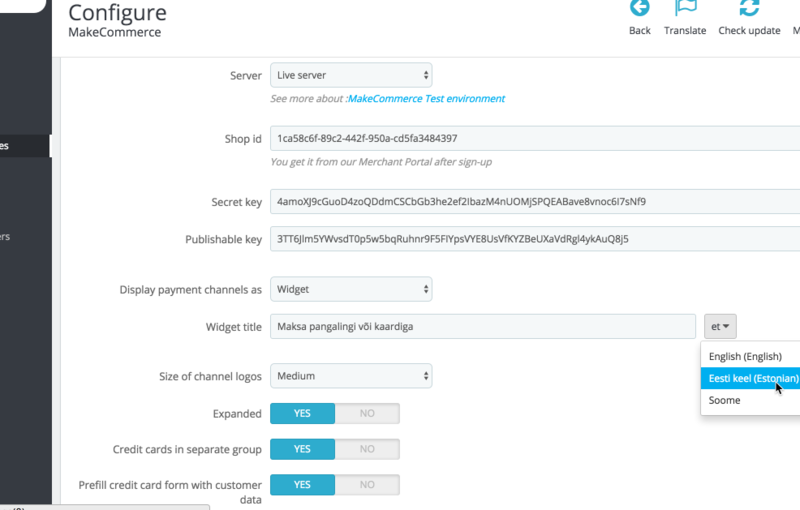 After installation you need to Configure the module – enter the API keys that are made available for you in our Merchant Portal after sign-up. Once configured you can Enable the module. 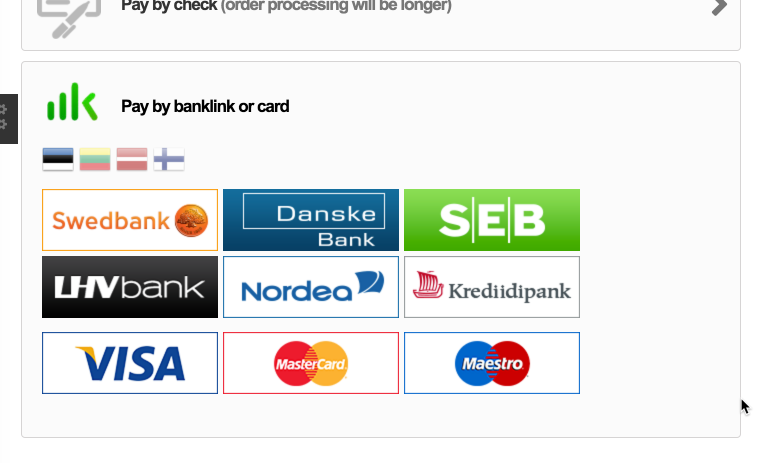 Under the module Settings you can slightly configure how the payment methods are presented in the check-out dialog. The module adds an easy way to make refunds to the orders paid through MakeCommerce. You can make either full refund or (multiple) partial refunds.